If you still don’t know your IoT from your APIs, or your Fabric from your Corda, then this issue – dedicated to all things fintech – will be of particular interest. 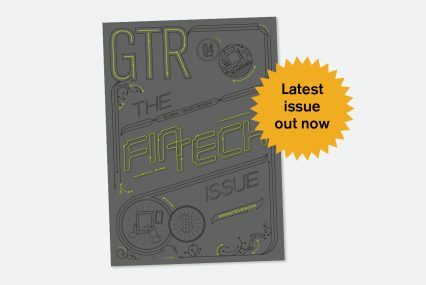 In our regular fintech section, stand-out features include our handy glossary of important tech-related terms, a conversation with R3 about the importance of legal recognition for electronic instruments, and an in-depth report on how blockchain could drive a new breed of know your customer utilities. In each of our regional sections we unveil instances where the world of trade and fintech collide – often with resounding success in terms of addressing the world’s US$1.6tn trade finance gap. With a nod to the host of this year’s Sibos event, our Asia section profiles some of the innovation taking place in Australia’s burgeoning agriculture space, where so-called agtech is attempting to transform one of the world’s least digitised sectors. “Watch this space,” was our message this time three years ago when we ran with a cover feature dedicated to blockchain in trade ahead of Sibos 2015. In that piece we reported on the beginnings of a shifting trend towards collaboration among those that have long competed for business, and suggested to readers that the innovation road was one worth following – regardless of the uncertainties that may be encountered along the way. Today, collaboration has become a cornerstone of our industry, and partnerships are coming in thick and fast. Most of the co-operation is happening in the blockchain space: R3’s Voltron, Marco Polo and Fusion LenderComm initiatives, IBM’s we.trade, Batavia and TradeLens platforms, and the latest komgo venture for commodity trade, are just some of the projects that banks and other players are engaging in, and which we’re keeping a close eye on. Away from blockchain (although claiming to be “blockchain ready”) we’ve just seen Mastercard round up a host of rival B2B networks to roll out its new global trade platform. Meanwhile, industry frameworks continue to lay the groundwork for these changes. In September, the Bankers Association for Finance and Trade revised and updated its English law master participation agreement to drive further standardisation in trade transactions and meet the modern-day requirements of the industry. Hopes are that the new document, which serves as the industry standard framework for banks and their counterparties when they buy and sell trade finance-related assets, will ultimately take the leap to smart contracts. Standardisation has been identified as being crucial to accelerating the pace of digitisation within the industry. For its part, GTR will continue to be a facilitator of this change by sourcing and reporting on the latest findings, analysing the trends and identifying players to connect with. Watch this space. Made in China 2025: made to fail?